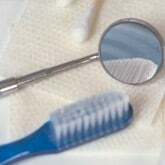 DentalPlans.com offers you an easy, convenient way to find a dentist in Toms River, NJ and save on Oral Surgery and more. Enter your ZIP code above to compare the discount dental plans in Toms River and view a list of participating dentists. Decide on the right plan for your needs and benefit from discounts from 10% to 60% on most dental care services performed by dentists such as Dr. Tommy Pagonis. After signing up to the right discount dental plan, visit Dr. Tommy Pagonis or any other participating Toms River dentist to save money on Oral Surgery and more. Discount dental plans are alternatives to dental insurance plans that will offer you discounts on Oral Surgery and other dental care services. Our national dentist directory has a wide range of general dentists, oral surgeons, endodontists, and more! So whether you need a dental exam or are suffering from a toothache, cavity, or other dental care issues, we can easily help you find a dentist or dental care specialist in Toms River, NJ.